The most recent record on the map was from 2006, just over a decade behind the present. I scribbled down the locations in my notebook, determined to go looking the next day. 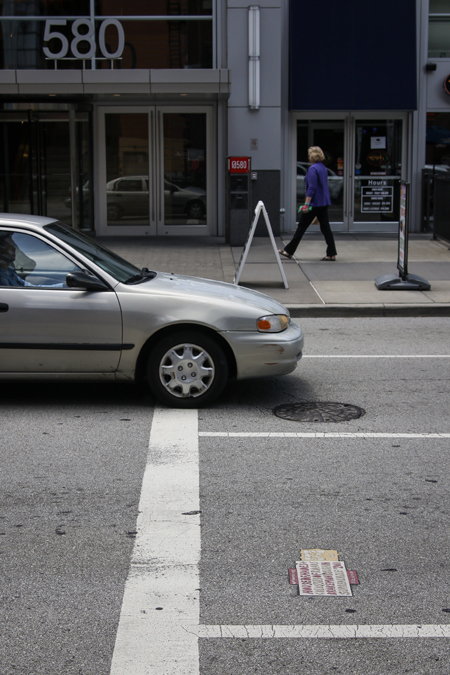 I spent nearly my entire lunch break wandering and coming up short until I spotted one near a crosswalk. Maybe the map had been off a bit, I wasn't expecting to find anything here. I waited for traffic to subside, jogged out to the middle of the road and knelt down while an idling cab driver eyed me suspiciously. I was taken aback at the unexpected message and didn't have too long to think about it before traffic resumed and I ran back to the curb. After work that day, I found another and then one more the following day thanks to 5chw4r7z. With additional help from comments on QC/D’s Facebook and Twitter, several people offered insight and clues as to what these things were and where to find them locally. What I assumed was initially just eclectic, guerrilla street art is actually much, much more. 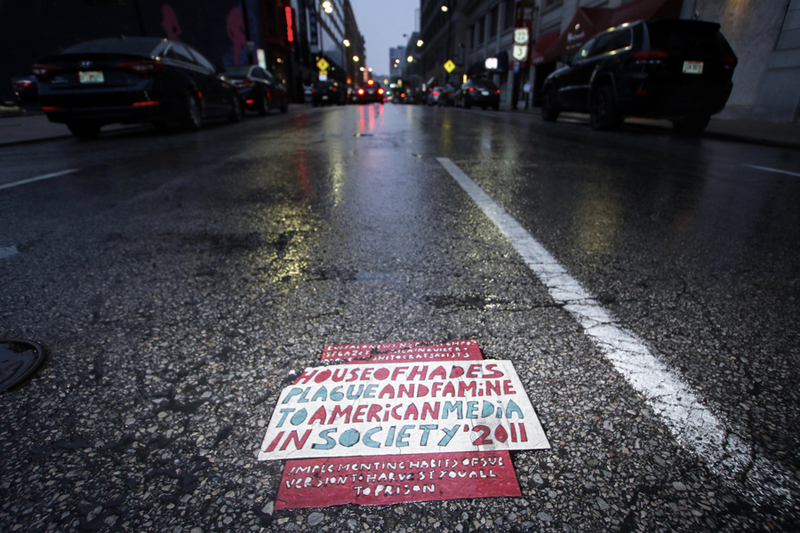 The subject never came to my attention until recently, but as soon as I first read about “Toynbee Tiles,” I was hooked, drawn in, and had to know more. 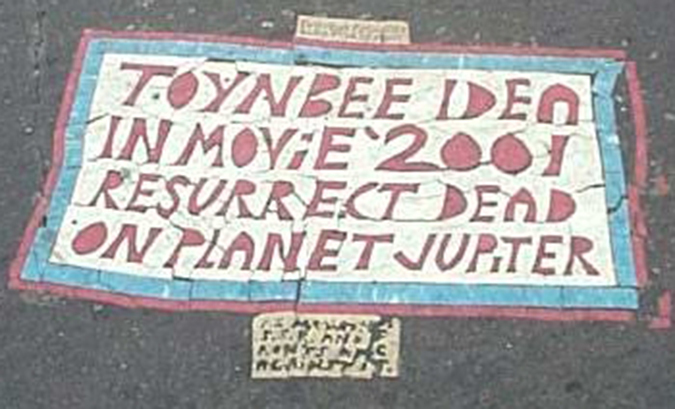 - A standard Toynbee Tile. Image via Wikipedia. In some cases, the tiles will features side notes which make reference to politics, media, conspiracy, or other subjects. I’m certainly not the first to take notice of the tiles, attempt to document them, or write an article about them. Perhaps the people who have done that best are Justin Duerr, Steve Weinik, and Colin Smith, the producers and key figures of the 2011 documentary “Resurrect Dead.” The best way to get an understanding of the tiles is to watch and discuss this film. Fair warning if you haven’t seen it: what I’ve written here will delve into the film's story, but I won’t go into all the details of a movie that’s well worth your time. The film isn’t solely about the tiles and the mystique surrounding them, but also about the filmmakers and their journey as well. Cincinnati is briefly featured along with a reference to a 2001 story by City Beat. Hundreds of these tiles have been found and documented with the Queen City once sporting at least three in its streets. 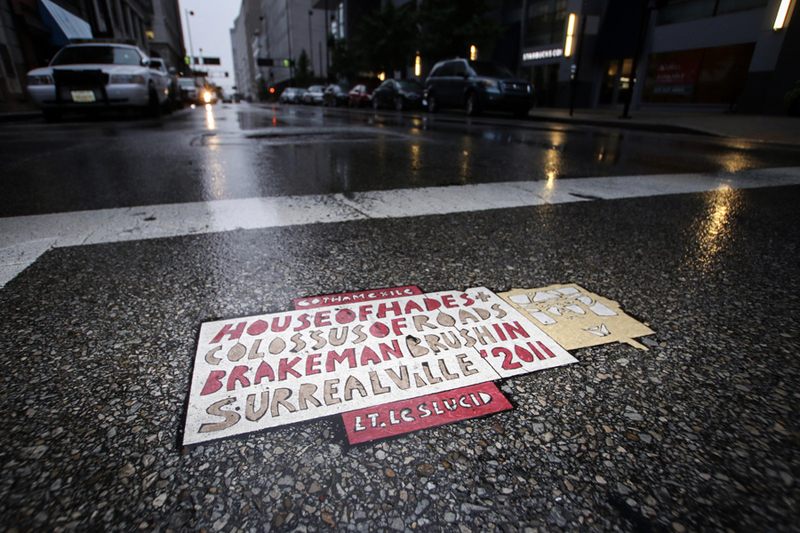 - A Toynbee Tile as seen in Cincinnati in 2009 at the corner of 6th and Walnut Streets. Image via Denny Gibson. “Toynbee” appears to be a reference to Arnold J. Toynbee, a British historian who believed civilization must respond to challenges in order to prosper. “2001” is a reference to Stanley Kubrick’s film, 2001: A Space Odyssey, which depicts a manned space mission to Jupiter (Kubrick’s name does occasionally appear in some tiles). Throughout the course of the documentary, the filmmakers are able to find evidence that links them to a reclusive citizen of Philadelphia. They come to find several “prototypes” in the streets near his home. They also uncover accounts that he may have once been the person behind a series of short wave radio broadcasts which espoused ideas similar to those found in the tiles. In fact, they find his Philadelphia address directly referenced in a tile that existed in Chile. There’s also evidence that indicates this figure may have had help from a neighbor who worked for Conrail, a company whose freight tracks served all of the cities where tiles appeared. There's even a connection between the company and a shipment to South America which may have aided the appearance of tiles there. One of the film’s key figures, Justin Duerr, had been documenting the tiles since the early days of the internet, long before the documentary came about. At one point, he came across what’s been dubbed “The Manifesto Tile.” This specific tile goes into far more detail about what appears to be a conspiracy in the media and various levels of government to silence the tiler’s message and ideas. Through more research, they’re able to piece together what exactly that central idea may be. It varies from person to person and maybe there’s some who can say outright they’ve never felt this way, but odds are everyone has experienced what it can be like to be misunderstood, to feel your voice isn’t heard, to feel you’re not listened to. Whether you believe the dead can be resurrected in the far reaches of our solar system or struggle coming to terms with your own existence, there’s a sense of humanity that comes from this particular theory about the tiles. Maybe the tiler felt his ideas could be a physical form of afterlife, a human created version of the “heaven” alluded to in so many religions. Maybe this was his way to cheat death, his way of helping humanity? Maybe in his mind, this breakthrough, idealistic proposal and hope for the future has been dismissed or intentionally covered up by the powers that be for their own sinister gain? Whether you believe in bringing science fiction to reality or not, I think many people can sympathize with the struggle of wanting to be heard. - A July 2017 image of the same section of road as seen in the previous photo from Denny Gibson. 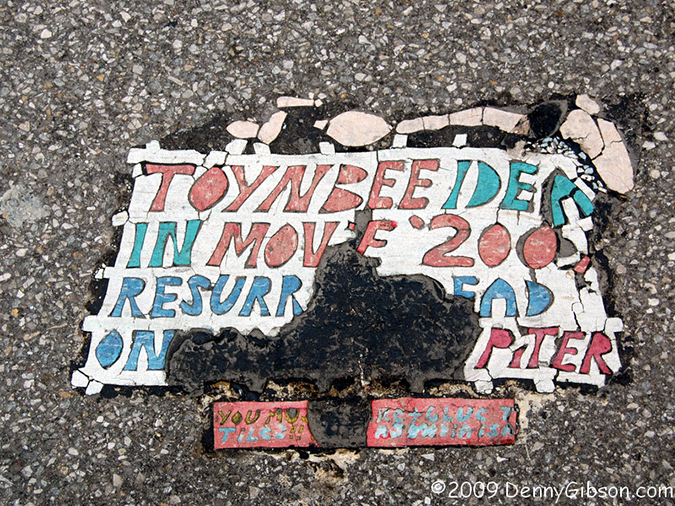 The original Toynbee Tile may have been removed or covered up beneath fresh asphalt and paint. We’ll likely never know the true and full intention behind the tiles, but maybe what already has been said by the filmmakers is good enough. They were never able to speak to the reclusive man whom they believed to be the tiler. And they’ve stopped trying. One of the film’s central figures, Justin Duerr, speaks to this with a quote that sums up the story and tells of his encounter with a man who he believes is the tiler. “For years and years I wanted to talk to this person and for years and years I wanted to solve the mystery. But the thing was, that when I ran into him on the bus, I didn’t want to do it. You know, it’s not that I couldn’t bring myself to do it. I decided not to bring myself to do it, because I felt like it was not the right thing to do. You can’t force somebody to open up to you. You can’t force somebody to decide that they’re gonna share things with you. I need to know when to let go. I had a moment of emotional and intellectual clarity about where I stood with the story. Tiles still appear in the streets these days. They take a unique process to create, one that can be learned from watching several online “how-to” videos. A combination of linoleum, asphalt sealer, and tar paper can allow the tile to be physically pressed or baked into the asphalt and become part of the surface. The range of newly appearing tiles has expanded beyond the original Midwest/East Coast/Brazil area, but many of the newer ones are clearly copycats. Which is probably quite alright with the original creator, he often featured side messages encouraging passersby to create their own. At the same time, the filmmakers feel confident that several of the ones popping up in recent years are the work of the original tiler. You won’t find any in Cincinnati though, at least not any that champion the original “Jupiter” message. 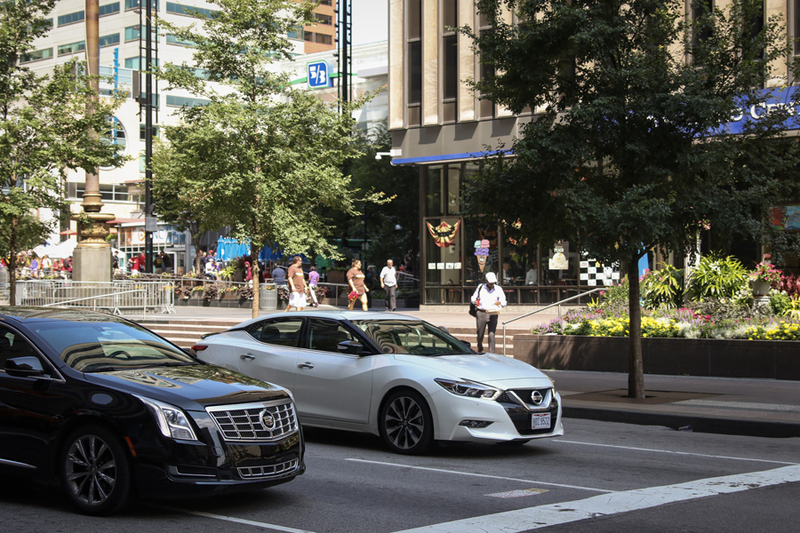 Once sporting three, all have disappeared: two were in the path of new streetcar tracks, another at the heart of a well traveled block. There are other tiles though. - July 2017 photograph of a "House of Hades" tile in downtown Cincinnati. 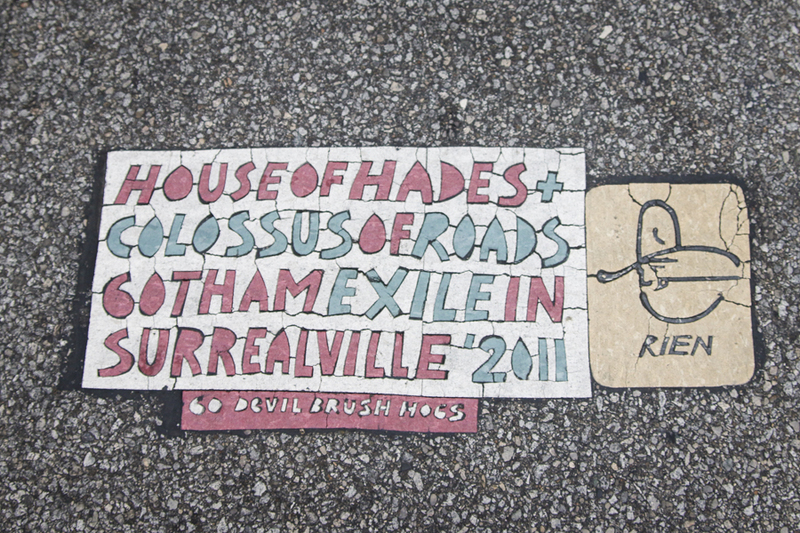 “House of Hades” tiles initially began appearing in Buffalo and have since found their way to many of the same locales as the original Toynbee Tiles, often in close proximity. While the medium and technique may be the same, the message differs. Cincinnati once had at least five tiles from HOH, but is now down to three as of this writing. Like the Toynbee ones before, these linoleum mosaics are often right out in the open, but easily overlooked. 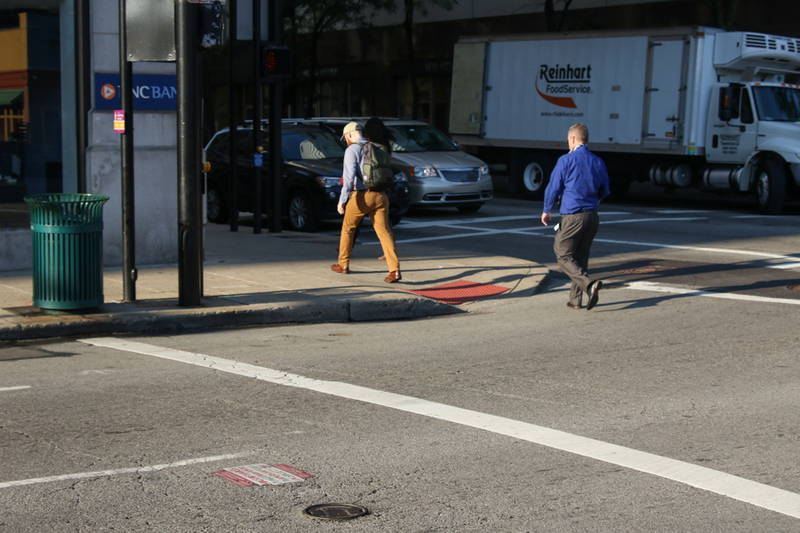 Here, the remaining three are all located near crosswalks with heavy pedestrian traffic. However, unless you're looking down, you're likely to simply walk right over them. Even if you do come across one, you'll need more time than your average traffic light cycle to read the message. Interestingly, all of the local HOH tiles are situated in a manner that appears inverted, requiring any passersby to read them upside down or directly face the flow of traffic. 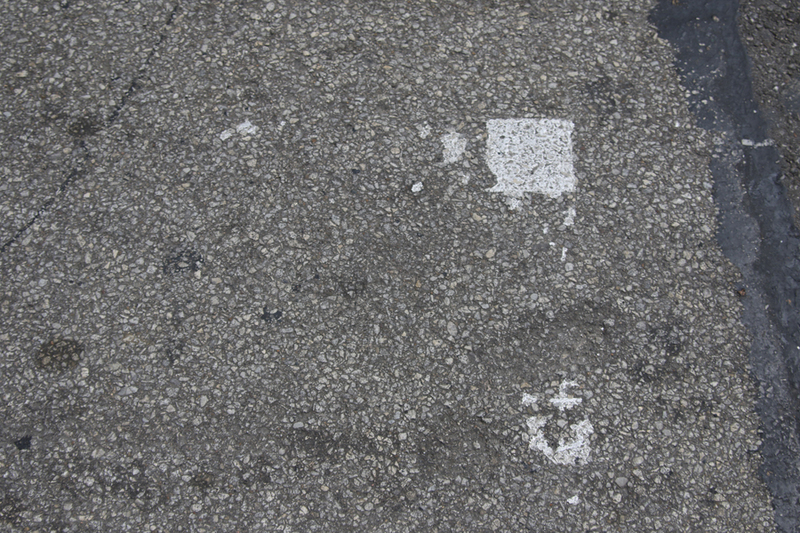 - A House of Hades tile seen in a Cincinnati crosswalk on 6th St. between Main and Walnut. These newer tiles, with their own theme and visual design, seem to now appear far more regularly than that of the Toynbee variety. Meanwhile, their message and origins haven’t received the same amount of investigative scrutiny and attention as their assumed inspirations. 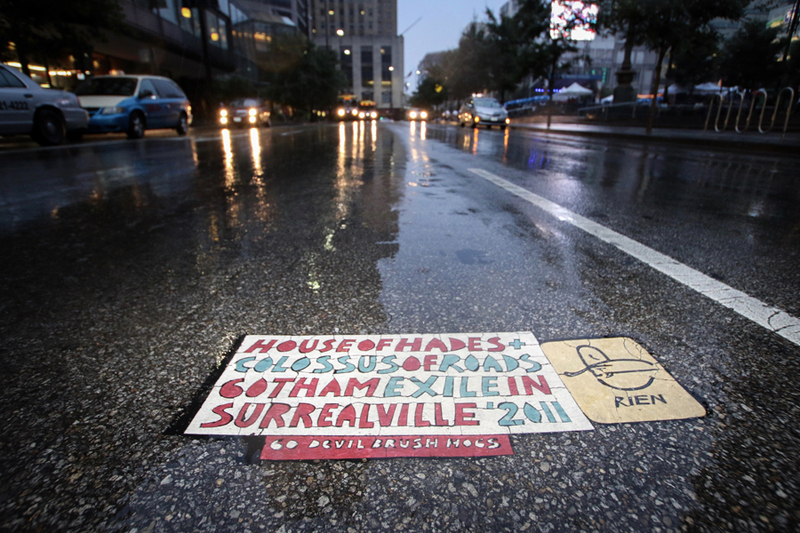 The aforementioned Justin Deurr says he's met the person behind House of Hades, stating that he wasn't a “copycat,” rather that it was his “own thing using the same technique.” Unlike the Toynbee tiles, the text of the Hades tiles will often change, but most seem to discuss a conflict with institutional media. 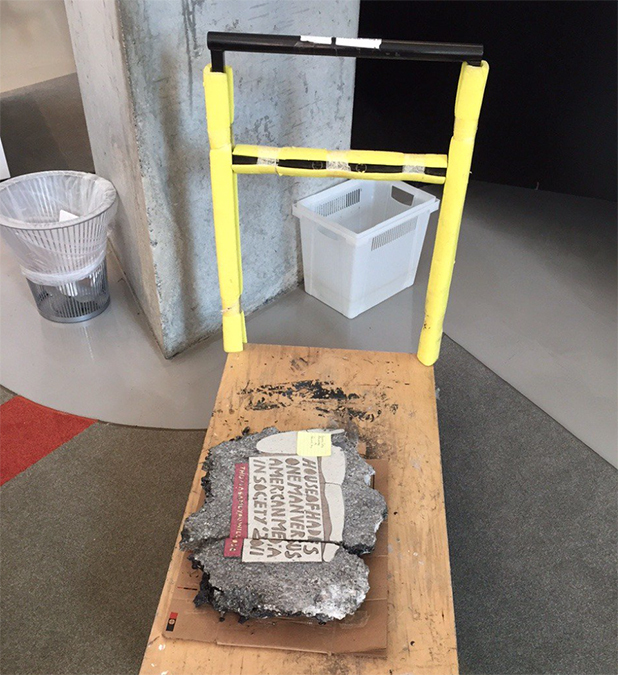 A fifth Hades tile was saved from road construction by the Contemporary Arts Center. This one is visually distinct from the others in that it features a representation of someone's legs wrapped around the text. "THIS IS A GAME YOU WILL LOSE"
- A House of Hades tile can be seen in context just below the front of the white vehicle at the intersection of 5th and Main Streets. 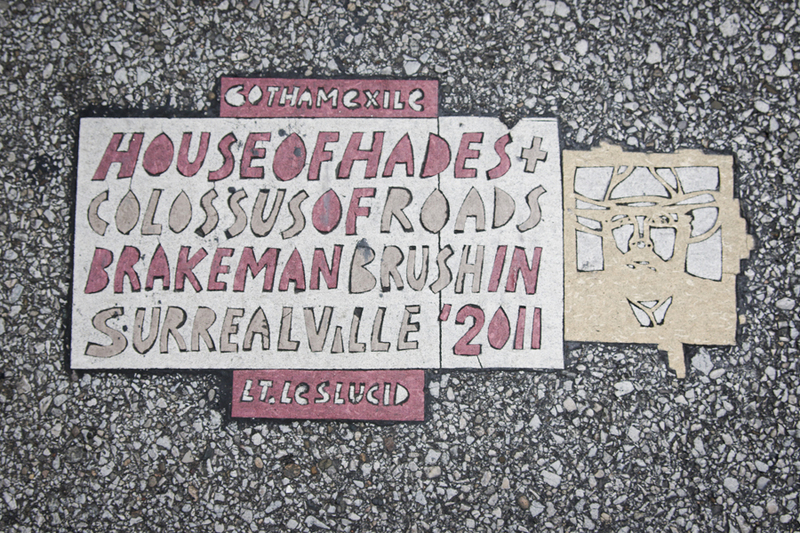 - A House of Hades tile seen near the intersection of 7th and Vine Streets in Cincinnati. 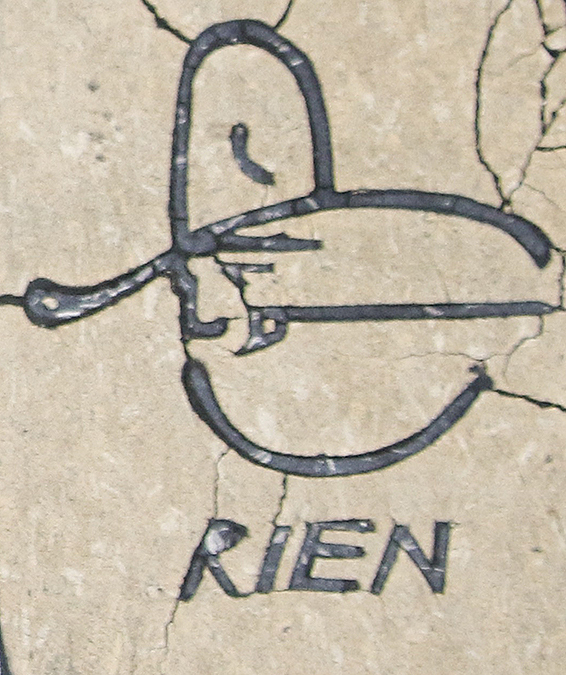 - Detail of a moniker which accompanies one of the Cincinnati House of Hades tiles. - A House of Hades tile as seen in Cincinnati, July 2017. Perhaps House of Hades is truly the “resurrection of Toynbee’s idea” after all? Special thanks to 5chw4r7z, Denny Gibson, buZ blurr, the Contemporary Arts Center, and all the folks on Reddit/Facebook/Twitter who helped with this story. Tile No. 2 was partially removed from the roadway. I was able to snag a piece of it. That story here. 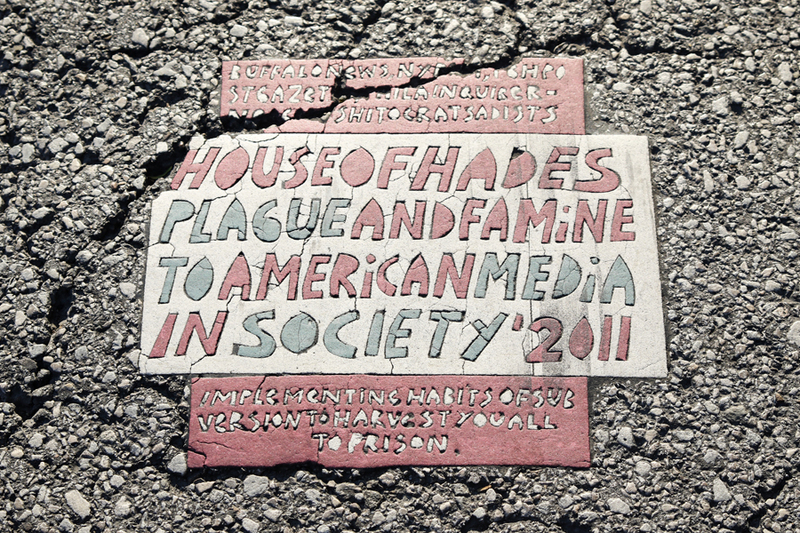 Came across another House of Hades tile in Nashville, one that references "Toynbee's idea" as being "resurrected," apparently placed in 2011. Awesome post Ronny, I wavered back and forth for a week over chiseling up the one on Walnut that the streetcar destroyed, but I never did. I wish I wasn't so chickenshit. Bob, thanks so much for your help with this post and for documenting some of these before they were gone! Are you referring to the one that was near Ruby's on 7th? Next time we see one potentially going away, let's go grab it! Thanks so much, Colin! That means a lot, love your work. Also got tipped to two of the HOH tiles by 5chw4r7z I have pictures of the Toynbee that used to be between CAC and Nada before it was torn up. This makes me feel like a kid again with a treasure map! Great for afternoon walks downtown.